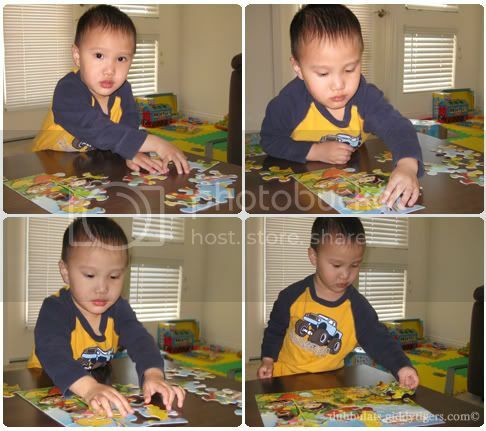 Ethan loves playing with jigsaw puzzles, and solving them, of course! That’s a good thing, right? 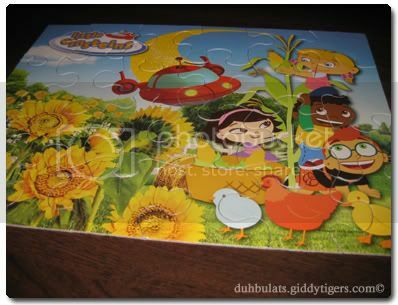 Jigsaws hone a child’s ability to think, be creative and it’s fun! 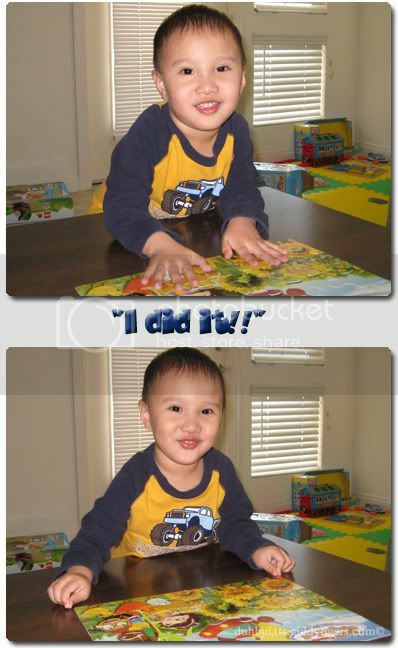 A few weeks ago, my Mom got Ethan a 24-piece Little Einsteins jigsaw. He was thrilled when he saw it, and wanted to fix the puzzle immediately. We had to guide him the first few times, so he was able to solve it. Then by and by, he would practise on his own, trying to fit the pieces together. Sometimes he would try a particular piece, turning it in all directions, and when he saw it did not fit, he would try a different piece. He would only ask us for help if he was really stuck. Ethan would practise solving his jigsaw puzzle almost every day, sometimes several times a day. And each time he completes it, we’d praise him and say, “Wow, you did it!” and applaud his efforts. Well, practice indeed makes perfect, for now Ethan can solve the jigsaw puzzle all on his own, in just a very short time! He’s all seriousness when he’s at the puzzle, sometimes saying, “Two more pieces…” and “One more piece..” as he completes it. And then when he does, he’ll go, “I did it!” and flash a jubilant smile! Time to get a 50 pieces box. Bravo Ethan! Well done, Ethan! I love to watch the kids when they’re so engrossed in their ‘work’. And love the peace n quiet that comes with it too.